Well I don't believe that. But I do believe feigned outrage. Oh Trump is just using these poor people as pawns...……………… Who is calling them terrible people? That would be something to see. I am calling fake news on that. Oh, yes that is what it was. Feigned outrage. Using those poor immigrants. Trump is just shooting himself in the foot every time he opens his mouth. And I just don't understand how any Conservatives could see this as a good thing. Because the alternative isn't "just keep them out". We'd all like that, but it's not an option. Trump's hands are tied by current law and some court decisions. There has been injunction after injunction issued whenever he tries to toughen things up. So don't blame him -- blame the Republicans who failed to pass legislation for him to sign when they controlled Congress. Some spending on illegals is federal, but a great chunk of it is state and local. So if you funnel illegals to sanctuary cities, those cities will bear a disproportionate share of the costs, and those areas that aren't sanctuaries will spend less. It also goes absolutely opposite of everything Trump said he is trying to accomplish. I guess also that he is abandoning the African Americans in sanctuary cities competing for jobs. Places like Chicago where Rahm Emanuel is ecstatic about this. He has already said they are welcome. But they have overload of illegal immigrants already competing with African Americans for jobs. The president can only earn the praises of people like Emanuel with this stunt. This really is a gift to the far left. Except the black Americans who live in those areas and don't want a bunch more illegals are going to be angry at the Democrats in City Hall for doing this. It's driving a wedge between Democrats and a huge chunk of their core support. A point I keep trying to make to deaf ears. Maybe they'll hear it since you said it. As an Arizonan, I am hip to what you're saying here. You saved the best for last. I find it amazing the 180 the Rats pulled, going from "These are a bunch of loving, wonderful, decent people" to "They're a terrible burden Trump is dumping on us." Not that they pivoted, but did so on a literal dime. I'm all for driving wedges, now that I know the Rats will drive any wedge between us they can find with a microscope. They can dish it out, let's see how well they can take it. I agree that the liberal courts have been a problem. What I don't agree with is this is the answer. I would be hitting Mexico hard. I think it was just today Mexico says another caravan broke through a fence. Well how convenient for a Mexican President that said all migrants have a human right to migrate to the United State. Trump giving a year to him is just incredible. Trump is all over the place. He is blowing in the wind. He is a ship without an anchor. He's a wild card. Never know what kind of crap he'll throw out there and expect everyone to accept it. He was going to make Mexico pay for the wall. Now he's building bollard fencing that all illegals can scale. He signed legislation allowing unaccompanied illegal immigrants to be placed with illegal immigrants in the US. Trump doesn't take any of the blame for what he has done. And he has made securing the border difficult. It should have been #1 priority when he took office but he waited till Democrats took control of Congress. He like the illegal immigrants so much he gave them incentive. He likes illegal immigrants so much he employs them. Maybe he should turn Mara Lago into a sanctuary for illegal immigrants. As for the African Americans. That is an empty dream. They already support liberals. If you wanted to draw them to your side you would not make it worse for them. I didn't hear rats screaming mad about terrible illegals. I heard people disgusted by President Trump's dehumanizing characterization of people seeking asylum as a burden that should be shipped and concentrated into the areas that didn't vote for Trump. I don't think it is ICE's job to use people for political retribution, but I understand why Trumpers love it. perfect explanation! The people that didn't vote for Trump. Its his mental illness. But I can't see the people in those states who are Conservative voting for him after this. Let the DNC whip up a fairgrounds, pay for it themselves, and stash them There. The bickering in here never ends. Nor will the floods of invaders from the south. There are millions ... tens of millions, many times over ... who will come in time. There's really only one way to "stop" them from entering. You all know what that is... stop pretending you don't. Perhaps it's time to invade Mexico, overthrow their government, install an American military government (Latinos seem to love them), and build "a wall" -- on MEXICO's southern border (which is smaller than the northern one). Mexico ... right now... is the nation that poses the greatest danger to the future of America. I also agree that is what is needed. It would take a declaration of war and I highly doubt Congress would do so. America is awesome at nation building, but why stop at Mexico's southern border when we could take back the Panama Canal? Panama has a very small border and we don't have to even invade it all to take control of the canal. Legally, maybe, but when was the last time we invaded and toppled another country after an actual declaration of war? You can't seem to connect the letters "MS" with the numbers "13" either, so there we are. It's not as if these people are made in the image of the Lord. As the America Firsters said of the Jews wanting asylum. They are vermin, thieves, and undesirables. All people are made in the image of the Lord. So what is your plan? Should we have open borders? Or lawful immigration? I am sure you are not suggesting that immigrants do not commit crimes or that there are undesirables like human traffickers and cartel. Reports say that people from 50 different countries are coming in because of the unsecured border. That isn't one race or religion. It is a security threat to the entire United States and its citizens. You make a very good point. However, not all coming here are truly seeking asylum. Secondly, there is a way to come into this country legally. Mobs of people entering this country or any country by force of mass is an invasion and is quite different then those seeking asylum and wanting to come in legally to become citizens. Big difference. Most countries defend themselves from an invasion. The U.S. is the only country that I know of that keeps their borders open and allows the invasion to continue. Hell, a good chunk of the lawful population is a burden, and our federal deficit shows it. This is good reading on God, Nations and immigration. What is the Biblical view of immigration. Citizens, Immigrants, and Foreigners. To remain biblical, these distinctions should never be obliterated. No reformed immigration policy should attempt to eradicate these distinctions; to do so is to posture oneself as more knowledgeable and insightful than God. In discussing impartiality, God does not scrub the aforementioned distinctions of various people in Israel; impartiality nowhere in Scripture negates the aforementioned precepts of one’s legal status in a given nation. This passage points to the fact that to treat one illegal immigrant who possessed wealth differently from one without money is what is partial. To say that God created everyone in His image does not negate the biblical concepts of, in this case, legal status in the land: to clarify the point, a bank robber, a murderer, and an illegal immigrant are all created in God’s image, but that fact does not place them above the law of the land! Often, attempts are made to foist impartiality or Imago Dei onto the discussion about immigration policy. Such attempts, however, serve to reveal the proponents’ ignorance or else deliberate twisting of Scripture.
. . . for [Government] is a minister of God to you for good. But if you do what is evil, be afraid; for it does not bear the sword for nothing; for it is a minister of God, an avenger who brings wrath on the one who practices evil. In this passage, Paul, a citizen of the Roman Empire, is addressing believers who are citizens of the Roman Empire living in the capital city of Rome. 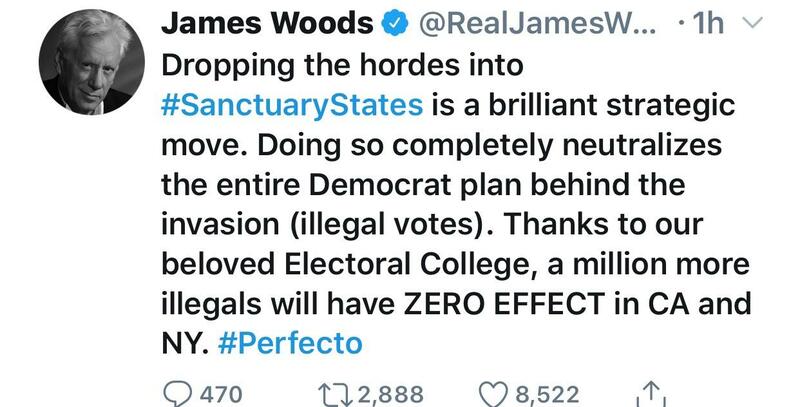 Not only does he state here the need for citizens to abide by the rule of law, which includes immigration law, but in addition, he implies what the motive should be behind the legislators’ (ministers [diakonia], meaning “servants”) lawmaking: to look out for the welfare of citizens; i.e., such laws are intended to you for good. It is not overreaching to reason from this passage that immigration laws, like all of a nation’s laws, should stem from a desire to protect the nation and its citizenry.6 That protection should deter a myriad of intrusions by illegals: weapons of destruction, disease, property and job theft, the importation of illegal drugs, and the like, which could result from illegals who have never pledged their allegiance to the nation and its laws, but rather have broken the laws of the land by entering the country illegally. THE IMMIGRATION LAWS OF EVERY NATION SHOULD BE BIBLICALLY BASED AND STRICTLY ENFORCED — ALL WITH THE UTMOST CONFIDENCE AND ASSURANCE THAT GOD APPROVES SUCH ACTIONS BY THE NATION’S LEADERS! Similar to a parent who incorrectly feels guilty for spanking a rebellious child because his conscience is not sufficiently informed by Scripture, the conscience of the lawmaker, too, should be informed by God’s Word on this subject. And God’s Word says He frowns on illegal immigrants — just like He says He frowns on children ruling the roost! It need be especially underscored that an advocate of immigration restriction is not necessarily a racist. Policies preventing illegal immigration should stem from biblical motives of ensuring the general welfare of the nation versus denying a would-be immigrant the potential for a better way of life. To procedurally exclude foreign individuals who might be criminals, traitors, or terrorists, or who possess communicable diseases is not racist in the least! It is good stewardship to protect the citizens of a nation who have unmistakably pledged their allegiance to that nation and their fellow citizens! Holding to a biblical theology on immigration in no way implies that one is necessarily a racist! Such leniencies, as evidenced by current American immigration policies and the facts quoted in the introduction to this study, eventually bankrupt the treasury. This happens when non-citizens are the recipients of endless entitlement grants, health benefits, employment insurance, education scholarships, etc. — all given to those who have never pledged allegiance to the flag that they willingly take from! A nation with overly lenient immigration policies will always end up insolvent. It’s difficult to manifest compassion when you are bankrupt yourself. Fundamental to immigration reform is the need to remove the magnet of alluring governmental entitlements that serve to entice illegal entry. Such forms of provision are not pleasing to God and only work to destroy personal honor, character, and productivity in the recipient. Government entitlement programs are not biblical for anyone, let alone illegal immigrants. Nowhere in Scripture does God state that He created His institution of civil government to meet the needs of the people. (In other Bible studies I explain in much greater detail that God ordained the institutions of marriage, family and Church to meet the needs of the distraught, among other purposes — but not the institution of civil government!) Said again for emphasis, God intends for people to first meet their own needs; but if for some legitimate reason that is impossible, their needs are to be met by other individuals in their family, or else the Church, but not the State. In the genius of God, the real needs of the individual can be met much more effectively and efficiently through those closest to him or her than by the impersonal institution of the State. Really good Biblical information. People like to make it racist but it isn't. Its about law and the protection of the citizens of the United States. I appreciate you struggling so hard to connect the dots for me, but I reject MS-13 as a boogy-man I must fear. I live in Wisconsin. This picture says so much more to the slogan cheering MAGA fan than the facts. I actually do fear many American born homegrown gangs that have come to Madison and Milwaukee from Chicago. It's why I live in a suburb, but I don't fear MS-13 because they don't come here. I understand how the anguish of being the victim of MS-13 crime can be exacerbated by the thought that a loved one was killed by an illegal, rather than a patriotic, welfare fed, real American gangbanger, but it doesn't affect me the same way. I sympathize with people who live in AZ, CA, NM, and TX, but it's probably not the same intensity. People often go through 5 stages when other people declare things they know to be untrue, as true. First they deny the offered facts. Second they get angry at the messenger. Third they hope or pray the facts are untrue. Fourth they train their body and mind to perfection, and don a bat costume to fight crime at night. Fifth they accept that it's going to be OK that others disagree. I get angry too, but I do not think you are a stooge in any way. I've noticed an increased animosity from you. Perhaps I am overestimating your esteem for me in the first place. Maybe you're just disinterested in my frustratingly hard to ingest/injest perspective, or perhaps I have stated my position in a way you found personally insulting. I think I'll fail at changing the first two, but if I have said something insulting, that you felt was aimed at you I apologize. I try very hard to insult Trump, politicians, government officials, and media figures. Not posters. I understand and know you (Platonicly). I enjoy your perspective because I think you are smart, and honest about your opinion. I would be sad if I had done something to repel your observations from my view. @Once-Ler You don't worry about MS-13 because you are insulated from them by half a continent. I do not have that luxury. I had a relative killed by illegal aliens so I don't consider them "Boogie Men," they are very real. I appreciate you too, BTW. I really do. You frustrate me sometimes, but I like that sort of thing from Briefers. If you're going to play the "image of the Lord" card in that manner, then we should let in every single person who wants to come into this country, without exception. All 1 billion or so of them. At some point, rational thought has to take over. If we continue letting in people at this rate, we will be destroying the very things about our country that make other people want to come here. Then nobody will benefit from it. The rate of immigration should equal the rate of assimilation. And right now, that ain't happening. Scott Walker, great governor and man for the most part. He honestly didn't understand the border crisis. To an extent it sunk his campaign. But that is his excuse. What about the many in the West and Southwest who are still very lenient on the border? Just about getting new votes. Maybe but not in every case. It is a big cross-section. Sen. Graham use to be lenient. Ithink he's changed, at least for the next 15 minutes. That's really not a slam. It does say he's probably a bit wishywashy on the issue. The list goes on, Jeff Flake and so-on. Page created in 1.967 seconds with 21 queries.